More companies are heading to the Cloud, and they're in dire need of capable IT professionals to keep them connected. With even entry-level positions offering high salaries, now is the ideal time to switch to this field, but you'll need the right certifications before you can get started. 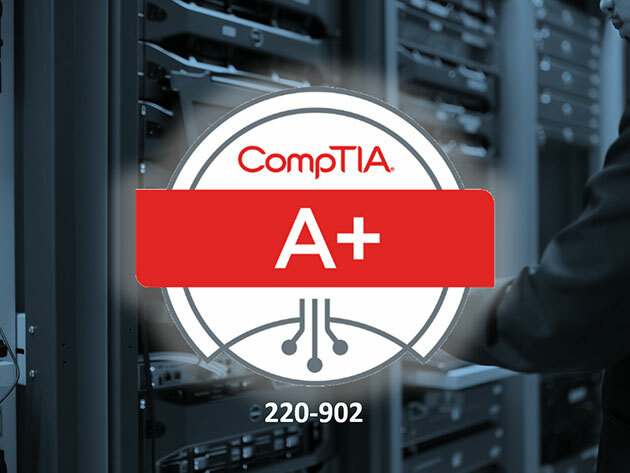 Packed with more than 200 hours of content, the Ultimate IT Certification Training Bundle can prepare you to ace several of the industry's top certification exams. Across 11 courses, this bundle covers the concepts and techniques you'll need to know in order to earn IT certifications in networking, cloud computing, and security specializations, including CompTIA's Cloud+ and Security+ certification, as well as the MCSA certification in Windows Server 2016. You'll grow your knowledge in project management, network security, and a host of other skills as you make your way through the collection. The Ultimate IT Certification Training Bundle retails for $3,289, but it's on sale in the Boing Boing store for $39.